If you’ve been involved in an accident in or around a building or property, you have the right to file a claim against the responsible persons or companies for the damages you have suffered. Premises liability accidents in Orlando occur all too frequently, as owners and property managers oftentimes fail to provide the necessary reasonable safety conditions expected of them. Orlando is a popular destination. There are many visitors, guests or even residents that encounter dangerous or hazardous conditions on another’s property which result in unfortunate injuries. If this sounds like your case, it’s important that you give us a call right away. 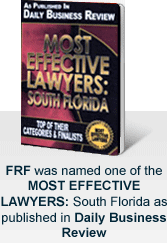 Our team of experienced attorneys has a deep understanding of personal injury under Florida Law and will use that knowledge to help you pursue a claim for your physical and emotional injuries. With over 100 cumulative years of experience, we are aware of the many avenues in which to navigate the intricate legal system and can aid in recovering monies for you for any and all losses or damages you have had to bear and will continue to bear. Call us now at (877) 448-8585 for a free and confidential consultation. A dip in the pool can turn catastrophic in a split second. Depending on the facts, claims may be pursued against an owner who failed to provide the necessary signage, training to lifeguards, or did not meet important safety standards, which led to your accident. If the property in question lacked adequate, trained security guards or did not perform appropriate security measures, the owner and manager may be responsible for causing or contributing to your accident. Damaged locks, bad lighting, and other factors may have played a significant role in causing you harm on the property. A property owner or landlord is required to maintain their facilities in working order. If an injury takes place because a railing is damaged, steps are missing or broken, or floors are unstable, a claim can be brought. The owner and manager have a duty to correct any and all hazardous conditions and, if not corrected, they have an obligation to warn of the conditions to those on its property. A floor must be in proper condition for guests to walk on. 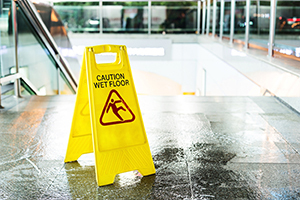 If there are indications that the floor you fell onto did not meet safety standards, or was wet, a negligence claim can be brought. Compensation is a broad term for various categories of damages that you as the injured party may be entitled to. It applies to many types of damages and losses, including past and future lost wages or the capacity to earn, past and future medical expenses deriving from your accident, loss of enjoyment of life or quality of life, past pain and suffering you have experienced, future pain and suffering you will experience, or loss of life through wrongful death damages. Because of how frustrating and devastating a premises liability accident in Orlando can be, it is crucial that you reach out to our attorneys as soon as possible. The sooner you contact us, the faster we can get started working on your case, preferable sooner rather than later. There is paperwork, investigation, and collection of evidence to be done in order to ensure that we give your claim the greatest chance of success. It is due to our extensive experience helping clients just like you that we can aggressively tackle premises liability claims and work towards a positive resolution of your claim. Pick up the phone and call us at (877) 448-8585 to discuss the details of your accident and set up a free and confidential consultation. We are available in English, Spanish, and Creole, for your convenience, and remember, we don’t get paid unless you get paid.